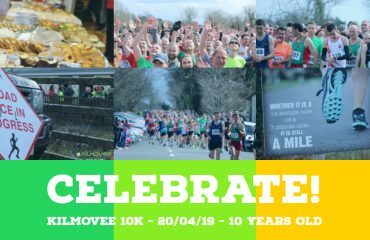 If you still have problems, please let us know, by sending an email to kilmovee10k@gmail.com . Thank you! Online registrations will close earlier than in the past on Thursday 19th April at 11.59pm. If you miss the online registration you can register on the day from 10am. When arriving in the village please slow down & prepare to stop there will be lots of people on the roads. If you’ve pre-registered please arrive early to collect your race pack which includes: Race number, timing chip & your limited edition t-shirt (subject to availability). Road Closure commences at 12:30pm, therefore, it is vital that you arrive at the event prior to this time. Before this time please exercise caution as normal rules of the road will apply. Note: The start line is approx. 1k away from the Community Centre! Please attach your race number to the front of the t-shirt you will be wearing during the race using the safety pins provided. Your race number must be visible at all times. Your race chip is incorporated into your race number. Toilets: there will be portable toilets at clubhouse and toilet facilities in the clubhouse & community centre. Any items left at the clubhouse or at the start area are left there entirely at your own risk. The 10k race will start at 1:00pm sharp, with the 5k starting shortly after. Clear instructions will be given to proceed to the start area from HQ and you must follow the instructions of the race officials at this time to ensure you are not late for the start. There will be water stations around the course with volunteers to assist you. Medical personnel are on hand should you need assistance, you must make race officials aware of existing medical conditions that could contribute to ill health during the event, prior to the start of the event. 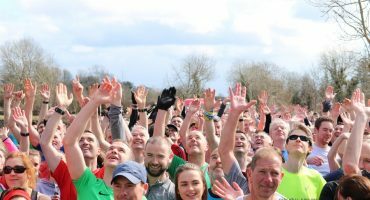 The roads will reopen shortly after the start, with rolling closures so please exercise caution as normal rules of the road will apply. Please obey the marshall’s instructions at all times. Prize giving will take place for each category shortly after the race after times have been confirmed in the community centre. 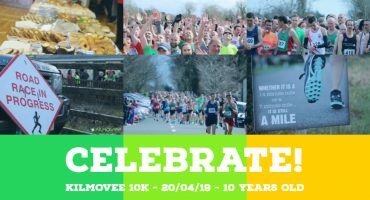 Thank you for entering the 10th Kilmovee 10k 2019. We wish you the very best of luck and we hope you have a great experience. Don’t forget to check in on FB & rate our event too. If you have any queries please contact us kilmovee10k@gmail.com a member of the team will respond as quickly as possible.